Large version of our beautiful screen printed flags with the seven sacred chakra symbols and life affirming mantra in vibrant colours. 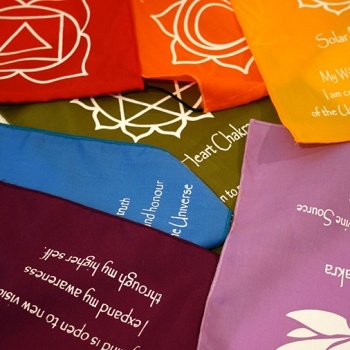 Often considered as prayer flags they have a non-traditional hem to increase longevity and sturdy nylon string. 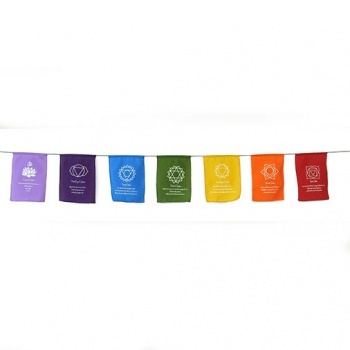 The flags have a wonderful silken texture to them and fine detailed print, they are beautiful in their own right as colourful bunting but also have deeper connotations for those going through a spiritual transformation.